Dr. Shaily Thakkar is a trusted Dentist in South Bopal, Ahmedabad. She has helped numerous patients in her 10 years of experience as a Dentist. She is a MDS - Periodontics, BDS . You can meet Dr. Shaily Thakkar personally at Shaily Multispeciality Dental Care in South Bopal, Ahmedabad. Book an appointment online with Dr. Shaily Thakkar and consult privately on Lybrate.com. Find numerous Dentists in India from the comfort of your home on Lybrate.com. You will find Dentists with more than 31 years of experience on Lybrate.com. You can find Dentists online in Ahmedabad and from across India. View the profile of medical specialists and their reviews from other patients to make an informed decision. I remember, I read an article of Dr. Shaily Thakkar in the paper and made contact for cleaning tartar. Shaily Thakkar has so much knowledge that for everything related to Dentistry, my family takes her reference. Hygiene is very important, and I must Shaily Multispeciality Dental Care in Ahmedabad was extremely clean. she is so pleasant to talk to and always ready to answer your doubts. 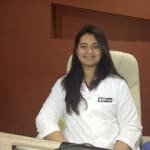 Dr Shaily is a well known dentist in Gujarat. I consulted her for my teeth cleaning. Finally with her treatment, I am completely satisfied. She definitely is aware about the latest technologies to treat patients. I owe her a big thank. I am completely satisfied with the results. One of my cousin's referred to Dr Shaily Thakkar and She referred me. I owe her a big thanks for doing my whitening treatment.. I was quite impressed with Shaily Thakkar concept of holistic healing. Everything was just spick and span in the Shaily Care. I was having Tetracycline Stains due to which I was very embarassed to smile. I consulted Dr Shaily, she has broad knowledge in the field of dentistry. Her treatment benefitted me alot. I am grateful that I consulted her for the treatment. Hi, My mouth not open properly because I take supari many years ago I suffer teeth problem also so please give me some advice. Start with tab lycostar once daily. Injections and surgery are also available for mouth opening. Meanwhile quit tobbaco and see a dentist who can guide you. Recently I visited two clinics in mumbai for my wisdom teeth problem they using tools to insert and check my teeth. Now I'm become anxious due to they used tools my question is only one due to this tools does spread any virus or bacteria? Everyone wants bright white teeth, but be careful of some over-the-counter whitening systems. Speak to your dentist before trying one of these products. How To Choose A Doctor!! When you see a degree of a doctor ,please don't b impressed with long degree abbrevations written behind his name..as some people write fake degrees such as mida,mpdc,misp which means nothing but they are just a member of some association and nothing else.And everyonecan be member of such associations just by paying some money.be aware of such frauds. Avoid sticky sweets, such as toffees, chocolates and pastries. These types of foods stick to your teeth and cause tooth cavities.